Congratulations!!! It's beautiful. I'm sure Mr. K and Heather helped pick it out!! 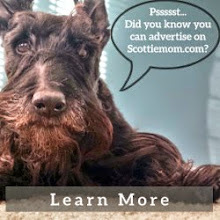 That is wonderful news Scottie Mom and Scottie Dad! Congratulations.....and....gorgeous ring! Happiness to you all! 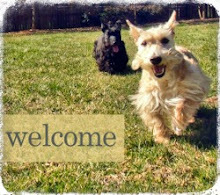 We had a custom Scottie cake topper, I'll have to send you a picture! They'd never let me close to something like that-I'd eat it. My favorite salad is twenty dollar bills-the bank will replace one if over 50% is still there. Congratulations! It's beautiful! What a wonderful Wordless Wednesday! Wow! Congrats, it's beautiful! A perfect holiday gift! Congrats to you!! How very exciting!! Congrats! Have a great holiday season! Ooo la la! Love the ring! It's very nice. Congrats!! Aw, lovebirds. Have a wonderful Christmas guys! I'm sure you will with great news like that! WOW! Congrats! That is an amazing ring! And if he likes dogs, he's a keeper! A super wagging congratulations! The rings are just beautiful!